When you add messaging to your app, you enable your consumers to communicate with your agents through their channel of choice: Android or iOS. 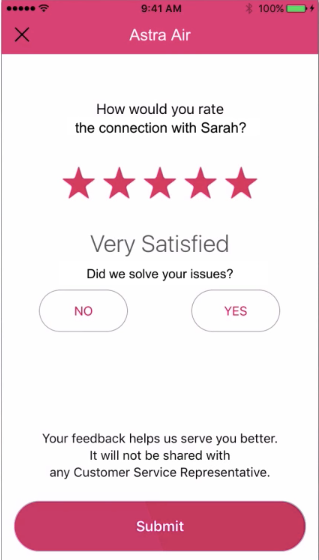 Increased customer satisfaction with an ideal customer experience through an always connected, ongoing conversation. Increased customer retention and engagement (stickiness of your app). 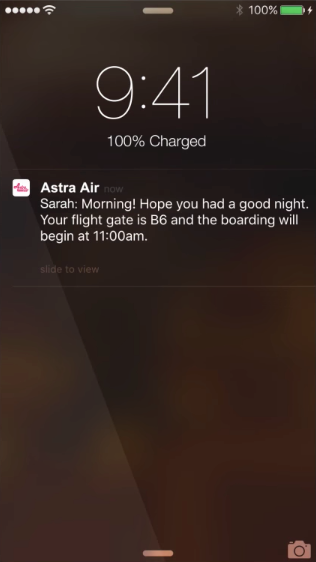 Consumers never miss a new message with push notifications. Fully customizable customer experience including look and feel. Optimized for network bandwidth and battery usage. LiveEngage account with messaging enabled. Contact your LivePerson representative to enable messaging on your account. Tip: If you see 'all connections’ when you log in, your account has messaging enabled. LivePerson only supports OAuth2.0 authentication. For more information, please see Getting Started with Authentication. For more information, refer to the LiveEngage Enterprise In-App Messaging SDK Supported Devices section of System Requirements for supported operating systems and devices. Deploy all customization you require using the Mobile App Messaging SDK deployment guide for iOS or Android. Supported and Certified Devices: Click here to view the LiveEngage System Requirements document. Under "LiveEngage Enterprise In-App Messenger SDK Supported Devices", you can find the list of devices supported and certified by the In-App SDK. You may need to deploy two different Android APKs (one with messaging and one without) if many of your users are on unsupported devices. Authentication: The most important and potentially most complex portion of your Mobile App Messaging deployment can be the the authentication. Determine if you will place messaging in authenticated areas of your app? Push notifications: For your messaging to be effective, you must determine how you’d like the push notifications to work. Do you have your own a push service? Will you use LivePerson’s push services only? Customize the window provide by LivePerson: (iOS-Window mode, Android - activity mode) -utilize the LiveEngage window and customize the colors, header and options presented to customers. Full control over entire window: (iOS -ViewControler mode Android- Fragment mode): Fully control the look, feel and actions including the footer and header of the conversational window. Note: LivePerson translates SDK texts to various languages. You can utilize our default translations or override them with your own text and language adjustments. Client side masking: The data is masked in the conversation transcript (appear as asterisks) but the Agent can read it. Configuration of such masking is conducted via LivePerson. Please contact your representative for configuration. Accessibility: Is your app accessible to people with disabilities? 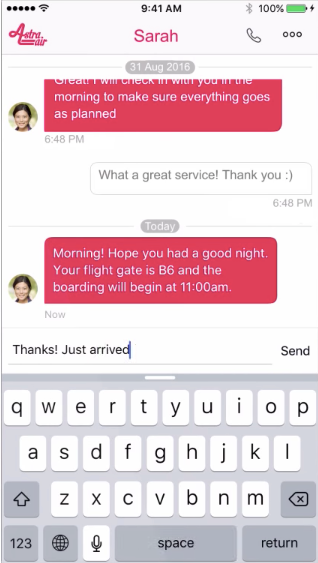 Do you want to extend accessibility to your Mobile App Messaging? Not all features available in the SDK support accessibility - you may need to turn off various features in order to be fully compliant.